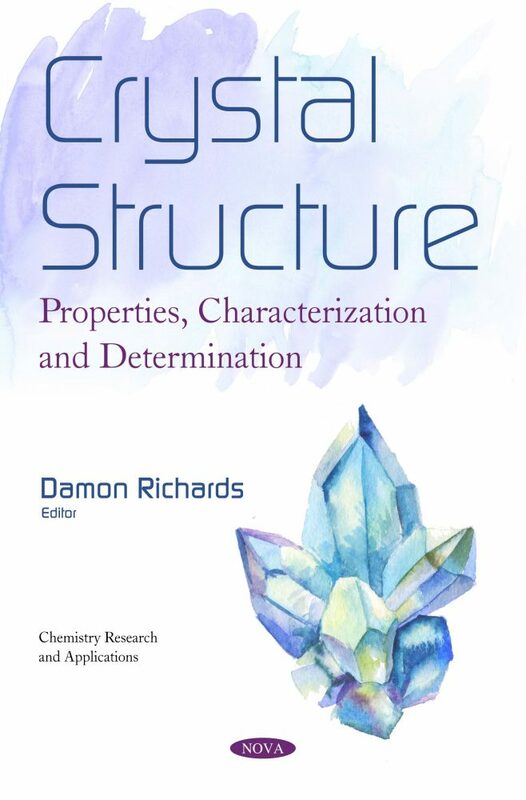 Crystal structures and their associated electronic features play an enormous role in chemistry, constituting the most fundamental basis for analyzing and predicting properties of solid-state materials. In Crystal Structure: Properties, Characterization and Determination, the authors begin by discussing some of the refining models and X-ray data treatments for single-crystals containing heavy atoms, such as transition metals or lanthanides. Valuable information on crystal structures and microstructures may be obtained from the observation of high-resolution images if conditions associated with crystal thickness and defocus values are satisfied. These images include information not only on accurate atomic coordinates of cations but also on the ordered arrangements of oxygen atoms and oxygen vacancies. In the concluding study, measurements of the heat capacity of Y3-xErxAl5O12 (x=0,0.6,1.1,3), and mixed Er3-xTmx Al5O12, (x=0,1,2,3) and Er2HoAl5O12 solid solutions were carried out in the temperature range of 1.9 to 220 K in magnetic fields up to 9T. The findings suggest that heat capacity variations at low temperatures were impacted by Schottky anomalies.